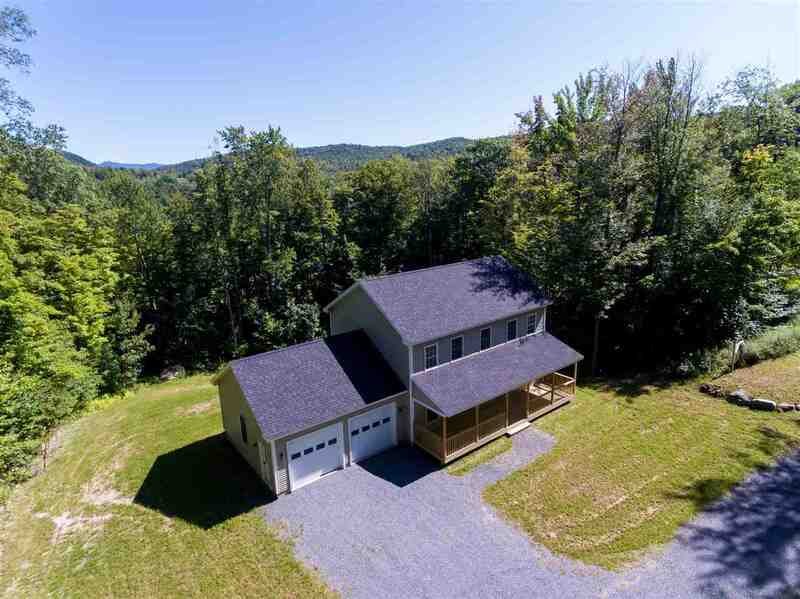 Enjoy your front porch of our brand new colonial surrounded by nature or the rear deck with seasonal views of Camels Hump just over the Hinesburg/Richmond line. Our new 1872 SF country colonial features 3 bedrooms and 2 full baths up, first floor bath/laundry room, Anderson windows, and solid core doors with Schlage custom hardware. End of the road privacy on 1 acre lot with mature trees overlooks the pond. Open floor plan, low sheen birch floors on first level, large kitchen with granite counters and $2500 appliance allowance. The spacious walkout basement has windows, 6 foot slider and bath pre- plumbing for even more potential finished area and a possible 4th bedroom. Close to Sherman Hollow, Sleepy Hollow Ski & Bike Center and Audubon Center and easy commute to Burlington, Waterbury or Vergennes. See tour above!